Turn your dream into reality by creating a Blueprint you can implement immediately that’s in alignment with your purpose, passion, and vision. Unleash Your True Power and Break Free of Limits! Before getting started, I encourage you to learn about my powerful style of coaching and if we are a good fit. Coaching Consultation Request Form – Complete this and I will contact you for a no-fee consultation. Explain why you are interested in a coaching relationship. Explain what you intend to get out of coaching. With equal doses of challenge and encouragement, you will leave prepared to take your life and business to a whole new level. Shift the Course of Your Life! This unique 2-day experience will be transformational, to say the least! In just two days you’ll have clarity on who you are, why you do what you do, and the blocks and barriers that hold you back. We’ll also develop a new blueprint and action plan for you to elevate your life to new heights and create lasting results! Your WHY; Your Purpose in life and business, and how to stay aligned with what’s most important. Your WHAT; Your Vision Statement for your life and business that clearly defines what you plan to create in the next 12 months. 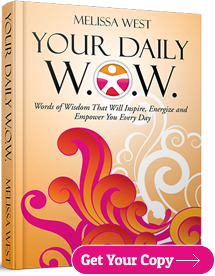 Your HOW; The driving motivator behind all your actions that you can tap into every day. The “Rule Book” you’ve been living by that controls your every thought and action. Together we’ll rewrite it to empower you, not hold you back. Your level of Emotional Fitness – by the end of the retreat you will be able to control the peak performance state that lets you perform at your best, every single time! WARNING: Your life will never be the same! This experience is only for those ready for a transformation! Ready to schedule your Creating Lasting Results retreat with Melissa? Please complete the form below and you will be contacted within the next 48 hours. Explain what specifically interests you about a 2-Day Private One-on-One Retreat with Melissa? Explain what you intend to get out of the retreat. Audiences rave about gaining better control over their desired outcomes, plus the knowledge and inspiration to make it real. Let Melissa WOW Your Audience! As a professional speaker and author, Melissa is fervent about communicating a message of life transformation through self-awareness and conscious decision-making. 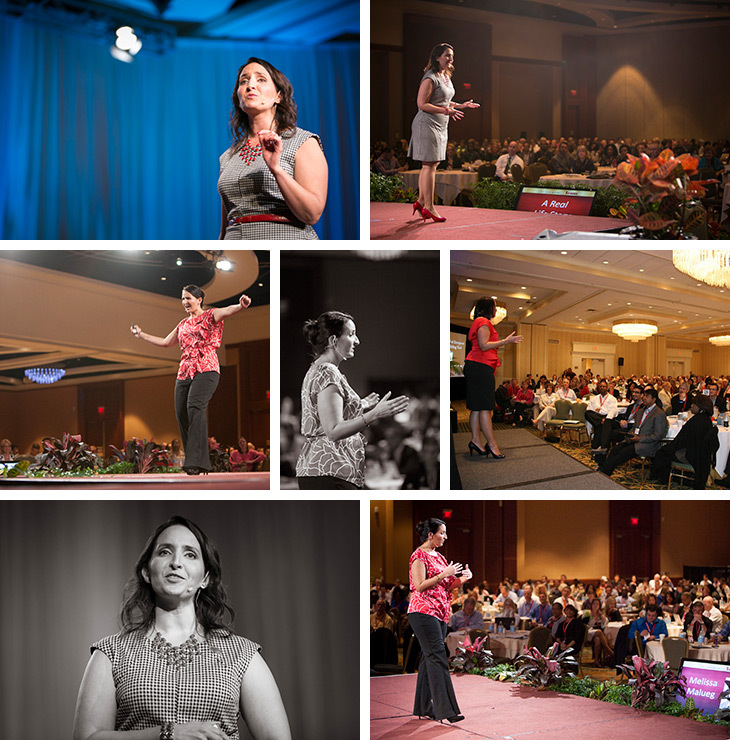 Whether it’s a 20-minute lunch and learn or a 90-minute or longer presentation – Melissa’s message of hope and success will transform your audience both personally and professionally. 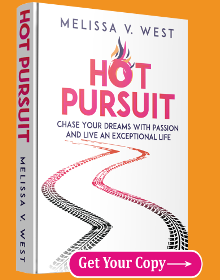 Melissa packs every presentation with the tools necessary for anyone to break free from old habits, beliefs and ideas that keep them stuck at current levels of success or failure. Move your audience to achieve greater levels of success – contact Melissa for a no-obligation meeting.